DESCRIPTION: Their wingspan is 12.6-15 in. and they weigh 2.3-3.4 oz. 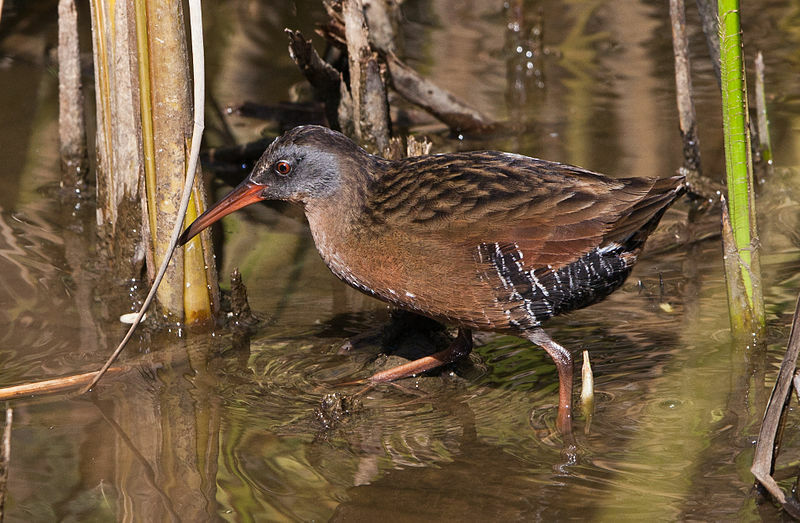 HABITAT: Virginia Rails live in marshes. DIET: They eat insects, crustaceans, fish, and seeds. NOTES: Virginia Rails sing a repeated, clicking “kid-ick” noise. They are protected on the US Migratory Bird list.